Gavin and Maria’s reception will be at Pazzo’s at 311 South Wacker Drive. 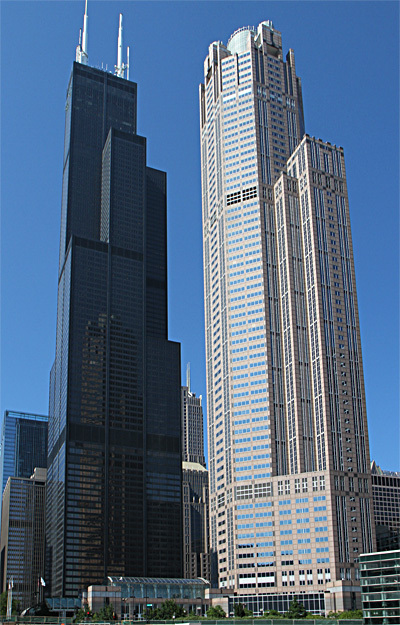 The 311 South Wacker building is often known as the “White Castle Building” because the top of the building is adorned with well-lit cylinders that look like the top of a castle. 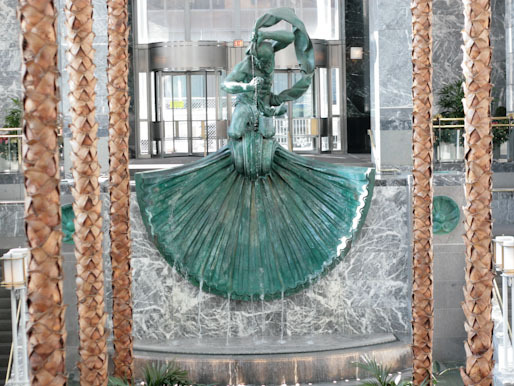 The six story atrium of the building is complete with palm trees and a fountain. 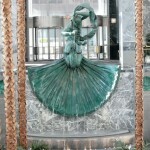 “Gem of the Lakes”, the bronze sculpture within the fountain, presents a heroic figure representing Chicago as the “city of broad shoulders”. He is wearing a cape symbolic of the great engineering milestone which reversed the flow of the Chicago River. This will be the backdrop for the reception. When Gavin proposed to Maria, they were in a room in the Sear’s Tower overlooking the 311 S. Wacker crown. At the time, they didn’t realize that they were looking at the site of their wedding reception.